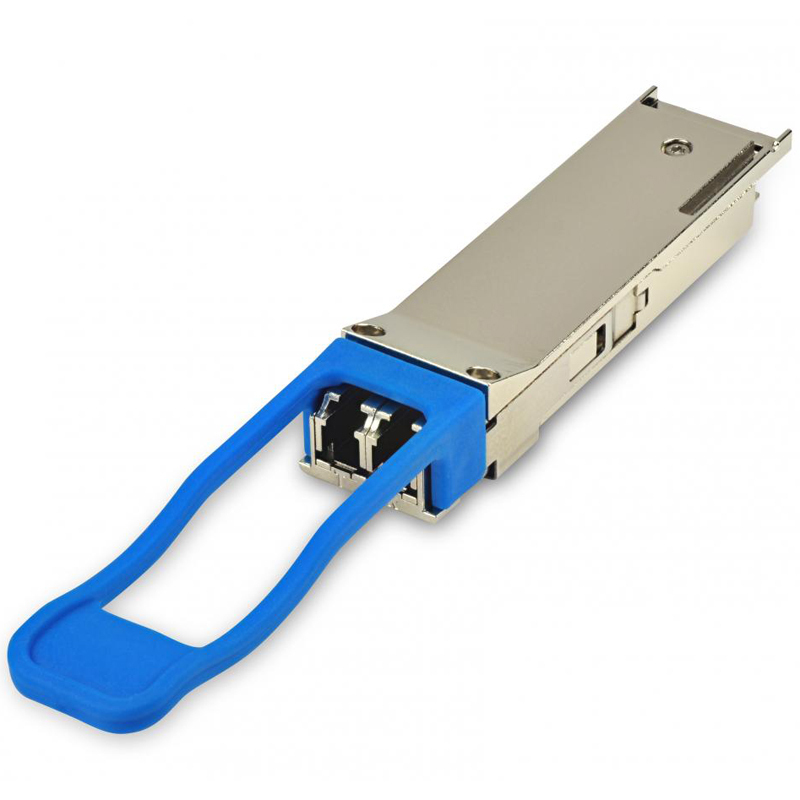 Cablexa's QSFP-40G-IR4-2KM QSFP+ Module supports link lengths of up to 2km over a singlemode fiber with LC connectors. The 40 Gigabit Ethernet signal is carried over four wavelengths. Multiplexing and demultiplexing of the four wavelengths are managed within the device. The 40GBASE-IR4 QSFP+ also supports OTU3 data rate in addition to 40GBase Ethernet rate. It combines the higher density attractions of parallel modules with some of the key advantages normally associated with SFP+ based modules. It is intended for use short reach applications in switches, routers and data center equipment where it provides higher density and lower cost when compared with standard SFP+ modules. The module operates with single +3.3V power supply. LVCMOS/LVTTL global control signals, such as Module Present, Reset, Interrupt and Low Power Mode, are available with the modules. A 2-wire serial interface is available to send and receive more complex control signals, and to receive digital diagnostic information. Individual channels can be addressed and unused channels can be shut down for maximum design flexibility. This QSFP-40G-IR4-2KM is marked and labelled with Cablexa brand as default. Customized labelling and branding are available as request. Cablexa offers 5-year limited warranty on this QSFP-40G-IR4-2KM optical transceiver module. This Cablexa QSFP+, 40Gb/s, 40GBASE-IR4, SMF, 1310nm Band, Duplex LC, 2KM Transceiver Module is 100% MSA compliant. It is guaranteed compatible with your router or switch. And it comes with a 5-year warranty and lifetime technical support. If you have any questions about this QSFP-40G-IR4-2KM transceiver module or any other item, feel free to contact us.